One call to A-1 Copier and Printer Repair and your on your way to freedom from your broken copier or printer. No More Stress getting your documents printed or transmitted. We want your Onsite printer repair business. Emergency office printer Repair for your Hewlett Packard HP Lexmark, Dell, Sharp, Toshiba and Canon office printer. 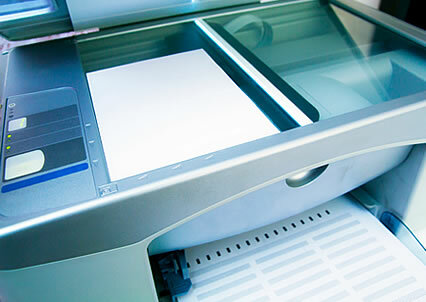 Give us a call, we are more than happy to give you an estimate to repair your printer or for a service program. At A-1 Copier and Computer Service, our onsite printer repair experts are dedicated to solving your office equipment problems. We offer fast and efficient repair and maintenance service for your Hewlett Packard HP Lexmark, Dell, Sharp, Toshiba and Canon printer. Our service technician can contact you or in some cases be at your location in Hackensack NJ within four hours* to provide top quality Onsite Inkjet office printer or LaserJet printer repair and maintenance service for your office printer In most cases, your office printer will be fully operational within 24 hours. Emergency office printer Repair service technician is available during business hours to arrange an emergency repair for your Hewlett Packard HP Lexmark, Dell, Sharp, Toshiba and Canon printer Multifunction. When you contact us, please have the printer name, model number, problem description, and printer error codes if any. Our service technician can replace worn or broken parts onsite for most major printer brands like Hewlett Packard HP Lexmark, Dell, Sharp, Toshiba and Canon Inkjet printer or LaserJet printer. We can use Original Equipment Manufacturer (OEM) parts to extend the life of equipment and in some cases can find after market parts for most major brands like Hewlett Packard HP Lexmark, Dell, Sharp, Toshiba and Canon Inkjet printer or LaserJet printer and will ensure proper functionality of your printing equipment.